For the longest time, Logitech’s gaming brand seemingly only catered to enthusiast gamers with huge rigs and super expensive setups. More recently, however, the company has entered the burgeoning esports market. They have done so by working closely with some of the esports teams and individuals that they sponsor. The result is the Logitech G Pro line of peripherals – products that are simplified and catered toward being as mobile as possible, and being a part of a really good gaming brand. As a self proclaimed Logitech fanboy, almost all of the PC hardware and peripherals that I own are from the company. I have a Logitech: keyboard, One-handed keyboard, gaming mouse, and speaker system. I also have three Logitech gamepads and controllers. If they made computer monitors, I guarantee you that I would have one of those as well. Now, the company’s new “Pro” series aims to streamline the experience by making it mostly plug and play. This means that the company can cater toward larger audiences while still ensuring that they deliver goods that are worthy of the brand. The Logitech G Pro Gaming Headset takes the best of the Logitech G433, and simplifies it for quick plug and play use. This means that the newer headset looks and sounds just as good as the older headset it is based on, but it also lacks a few options that made that older device so good. In terms of design aesthetic, the Logitech G Pro Gaming Headset is quite simple. It looks similar to the bold new designs the company implemented with the G433 and G533, but a lot more mainstream. 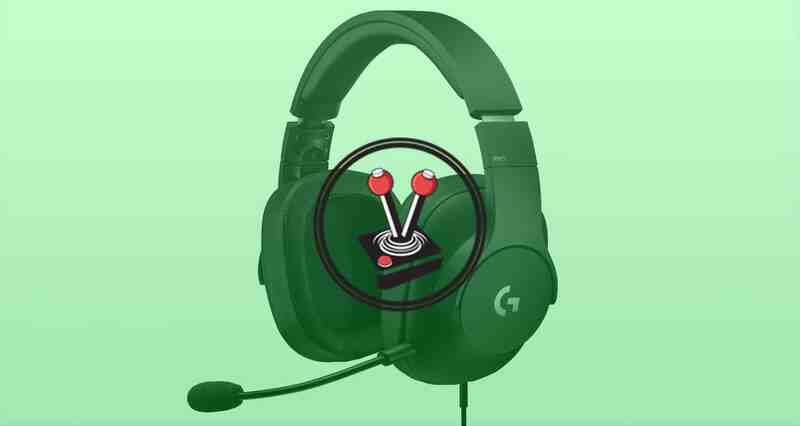 Whereas the other headsets are covered in fabric with solid plastic accents, and where they have weighty balancing that makes them look and feel premium, the G Pro Gaming Headset does not. That is not a bad thing in and of itself. However, it does feel strange for a Logitech product. For years, Logitech products were meant to feel robust and well built. For some odd reason, the plastic build this headset features does not compliment its design at all. The mesh fabric that covers almost all of its brothers and sisters, is lacking in this regard. Instead, it is entirely made out of plastic, save for a cushion part that sits on the head, and the cushions of the earcups. Similarly to the G433, the Logitech G Pro Gaming Headset also comes with a choice of two different ear cup sizes. The first set are the polyurethane cups that come installed by default, and the second set is made from a mesh fabric. I love that users are given a choice between two types of cups. Personally, I liked using the fabric cups much more than the polyurethane ones. They were much more comfortable during long gaming sessions, and also felt better around the ears. Although the design of the Logitech G Pro Gaming Headset lacks in certain ways when compared to the more expensive G433 and G533, it does not take away from it being just as comfortable. I used the headset on both PC and console for varying lengths of time. Not once did I feel like the headset was getting too heavy, or that my ears were drowning in sweat. It fit me perfectly as well – having a small head does have its benefits. I hardly ever had to adjust the size of the headset, and when I did it was usually to accommodate the caps I sometimes like to wear. 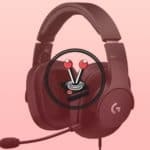 Compared to the G433 and the G533 that seemingly indicated how Logitech is trying to move its brand in a bold, new and fun direction; the G Pro Gaming Headset instead emphasises a serious nature catered toward esport players. It also comes in only one colour: black, and lacks the advanced features (detailed below) that the other headsets have to offer. It truly is meant to be simple and easy to use on any system. The Logitech G Pro Gaming Headset’s best feature is its uncanny ability to just work. Unlike the other Logitech G offerings, the G Pro Gaming Headset works by plug-and-play only. This means that there is no additional setup required at all! It comes with a single 3.5mm jack, and a splitting cable in case your computer has a dedicated sound card for the mic input. The fact that it only uses a single 3.5mm cable, means that it does not have the same surround sound capabilities you would expect from other gaming headsets. Where the Logitech G433, for instance, takes advantage of Dolby DTS-X virtual surround sound, the G Pro Gaming Headset comes in stereo only. With that said, it does have support for Dolby Atmos and Windows Sonic. Using any one of those features on either Xbox One or Windows 10, will accurately simulate surround sound. I played with Windows Sonic on both systems, and I can safely say that it worked really well when I played games such as PlayerUnknown’s Battlegrounds (PUBG), and Yakuza 6: The Song of Life. The sound quality on the Logitech G Pro Gaming Headset really is great. Of course, Windows Sonic and Dolby Atmos help to unlock its virtualisation potential, but only on Microsoft devices. That said, when you do get to use it with Windows Sonic, as I have, it works amicably. During PUBG play sessions, I could make out the exact direction that gunfire came from, all while running and dodging all over the place. While the virtualisation of Windows Sonic gets positioning right, the headset itself never managed to make gunfire feel as explosive or impactful as it should have. With that said, I must commend its output. For such small drivers they can get really loud, really fast. Similarly, you can also expect them to go very soft. Logitech managed to ensure that the headset has a wide output range for audio. So much so, that I could watch ‘let’s plays‘ of horror games on the iPad (in stereo) and still become immersed – with audio detail remaining solid at even low volumes. On mobile devices, such as my iPad, the headset only outputs in stereo. Here, the sound quality is as you would expect from a Logitech product: clear and concise. It never skipped a beat! With that said, bass and mids sound a little dull and empty compared to that of the Logitech G433, but that is expected from two small stereo drivers. The fact that the headset always outputs in stereo, and relies on the system you are gaming on to do the virtualisation, means that you will always have the same experience no matter what system or device you use it on. 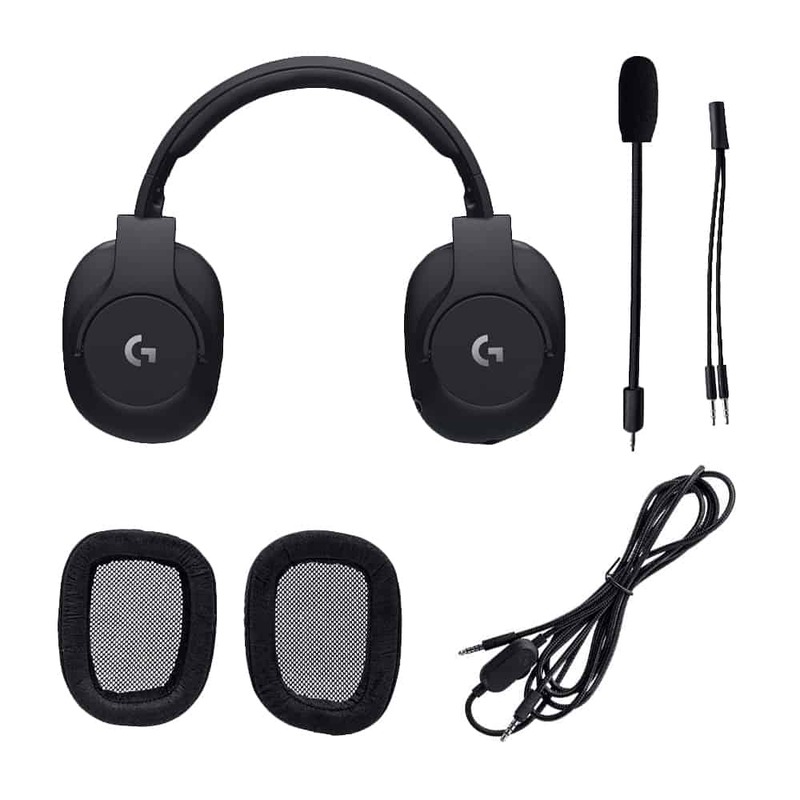 The G Pro Gaming Headset is also versatile in this regard, as I could use the headset on my iPad for media consumption, and plug it into my PC for gaming when needed. As mentioned, there is no additional setup required. As such, the usual fare about Logitech G Gaming Software is not needed. That said, I will mention that if you do have the software installed, it will not pick up the headset at all on your system. Instead, the computer will think of it as just another headset plugged into the 3.5mm port. In addition to audio, the detachable mic provides surprisingly clear audio. The pop filter managed to adequately filter away any harsh popping sounds, and the noise cancellation decently covered up any surrounding noise that came up during gameplay sessions. In terms of features, the Logitech G Pro Gaming Headset takes the “less is more” mantra from its siblings, and takes it to a new and more simplistic level. The current suggested retail price for the G Pro Gaming Headset is roughly $90 USD (R1 299 ZAR). Given that the current price tag for the stellar Logitech G433 is only R1 199 ZAR, it begs the question: who is this really for? When all is said and done, the Logitech G Pro Gaming Headset’s suggested price of R1 299 is decent. The only problem is that the Logitech G433, which is superior in my opinion, can be had for less! 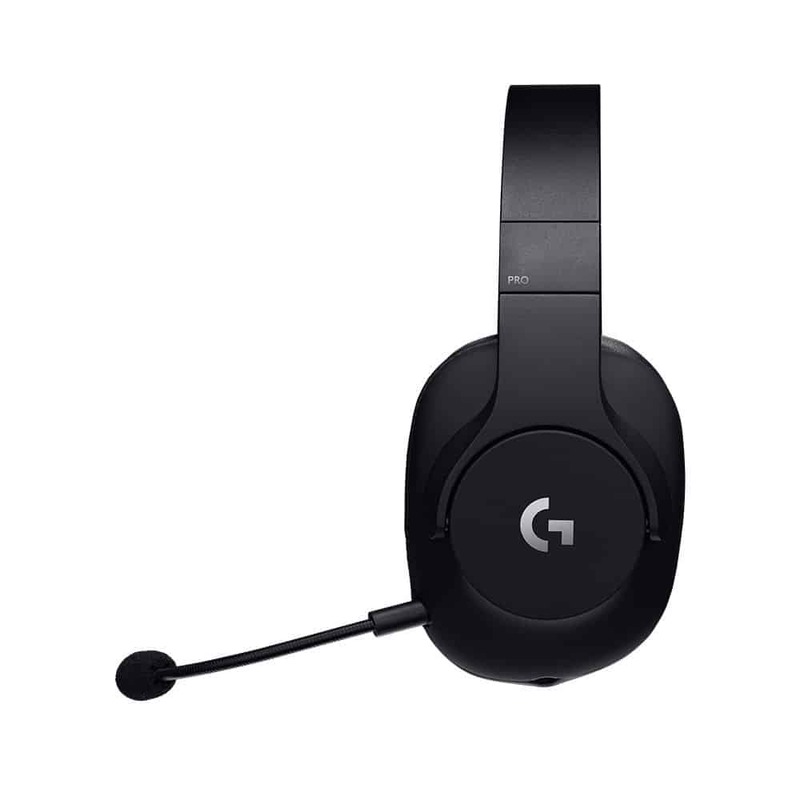 Perhaps if the Logitech G Pro Gaming Headset came out at the same time as the G433, the then-R500 price difference would have been a steal. Right now, however, it makes it a tough recommendation. The Logitech G Pro Gaming Headset is a decent product. It may be a lot more plastic than the peripheral maker’s other offerings, and it may feel less robust, but it works, and quite well too. 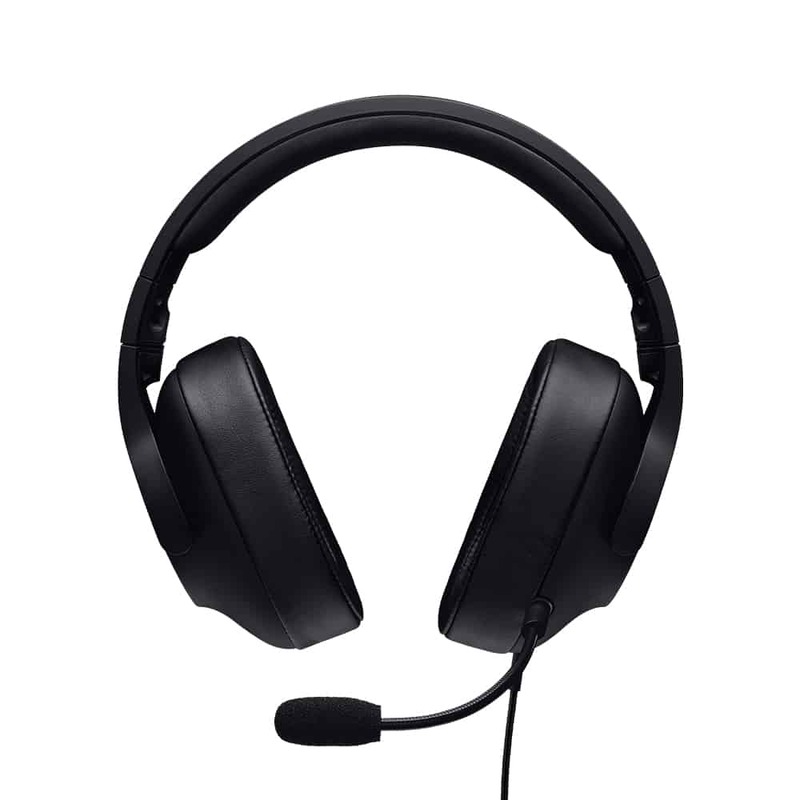 The headset delivers good, clear, and consistent stereo audio, and is tuned to work beautifully with Windows Sonic and Dolby Atmos on PC and Xbox One (stereo only on PlayStation 4). 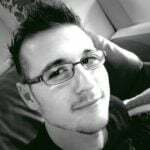 Overall, a decent entry level gaming product.